There is numerous ways to enjoy golf in 2015 and one of the most popular is to play golf through a society or a online golf club such as The Social Golfer. Society golfing first started back in the 16th & 17th centuries and were normally incorporated by a collection of keen golfers who didn’t necessarily have a golf club to play at. This led to a number of those early societies arranging both the land and finance on which to build a course for themselves. 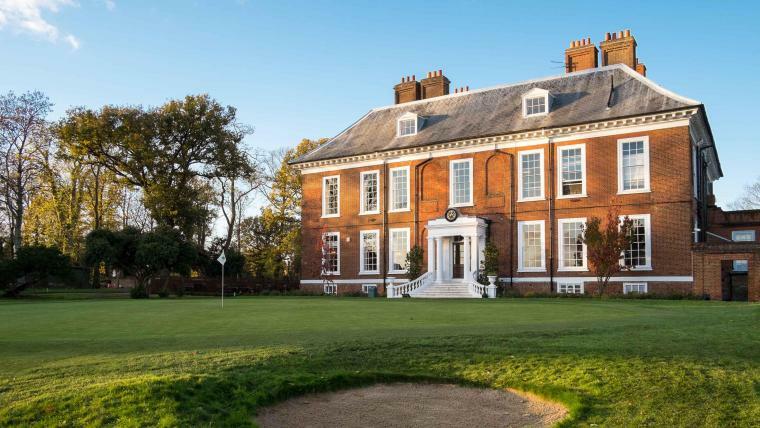 Many compete for the coveted title of THE oldest society in the UK, but whilst it will always remain in dispute, some would argue that Royal Blackheath Golf Club in South East London was certainly one of the first. “Blackheath Golf Club is known wherever golf is played as having been instituted in 1608. Whilst we know that golf was being played on Blackheath prior to that time, by individuals with a uniquely common bond to all intents and purposes a ‘club’ – no documentary evidence of this inception date has yet been unearthed (and no explanation offered for the selection of 1608 rather than 1603) since the Club’s accounts prior to 1787, and the minutes prior to 1800, are missing. The Club’s own artefacts evidence its existence as early as 1745, and the Edinburgh Almanac which has listed the dates of formation of the leading golfing societies since the early 1800s – records Blackheath as having been established “prior to 1745” from as long ago as 1830…..
….No less an authority than Bernard Darwin (grandson of Charles Darwin, golf correspondent of The Times for 46 years, past Captain of the Royal & Ancient and the most revered of all golf writers) began his introduction to a guide to the Club (published in the 1940s) with the following words: “The Royal Blackheath Golf Club, as all the world knows, is the oldest golf club in the world.” excerpt courtesy of the Royal Blackheath website. However, many would argue that the Scottish were also there around this time including the Royal Burgess Golfing Society of Edinburgh, the Honourable Company of Edinburgh Golfers, the Bruntsfield Links Golfing Society of Edinburgh. Once the game grew, these groups, with there increasing numbers, became ever more ‘nomadic’ and started to use their critical mass to move from club to club, thus the modern ‘Golf Society’ was born. Of course, no one can really be sure of who was first, but what we do know, is it caught on! Today with people working longer hours than ever before and people living further spread out from family and friends, there is no denying that there has been a downturn in the no. of golfing societies in the UK. In recent years, many golf clubs have had to work very hard to maintain the number of golf societies visiting their clubs and the numbers in those societies has reduced significantly too. Unofficially, most clubs now consider as little as eight golfers making a booking, a golfing society. Why the decline in golf societies? Well many self employed workers in the 70’s, 80’s and 90’s would happily take time off to gather on a weekday afternoon at the local club but this is no longer an option (unless retired). In addition, many company Directors would happily have meetings ‘on the course’ but this is often no longer seen as acceptable way to do business by their co-workers. Coupled with the fact that there has been an overall drop in club membership of golf since 2006, it’s a sign that golf needs to act and fast. Many clubs for too long have got fat on the traditional 5 and 7 day membership model and clubs themselves can often be seen as unfriendly and unwelcoming places. Of course, all clubs deny this is the case but how often do they take the time to ask golfers why they don’t return. However, all this opens the door wider for sites such as TSG to flourish! What we are doing to improve Society golfing? Firstly, because we do not own a course, we are in the unique position to be able to keep our membership fees to a minimum. Compare the TSG fee of £25 per year to that of a golf club, charging between £800 – £1200. Secondly, we have worked very hard to create as welcoming and inclusive atmosphere on the site and the site function allows you to arrange games with other members in a very simple fashion…. unlike some clubs whereby you’d only get to know golfers by introduction or by signing up to the Captain’s medal day and hoping you get in a four-ball you like. Of course, our model is not new, in some ways it is not dissimilar to those early society golfing models. As we grow, we hope that we too can use our critical mass to source better deals for our members, whether when booking Green fees or when buying golf holidays. How can I fulfill my society golfing needs with TSG? Well, there are a numbers of ways. You can either see us a one BIG golfing society, whereby you can join independent games posted by your fellow TSG members on the TSG games calendar OR you can start your own society…. We have a number of successful societies that have grown on TSG including South East Swing, The Epping Bandits and others that have regulars meets at a designated club. Finally, there are plenty of charity golf days organised through the site including our very own TSG OPEN GOLF DAY Championship, which are normally free to join. So, is Society Golfing dying? We believe that over the next few years, sites like ours will lead the way in golf and golf clubs will be forced to improve their offering and service levels, in order to accommodate the nomadic golfer! A great way to get back into the swing of things and get the rust off is to start with the basics. So lets go through them, along with some things you can do at the range to nail those shots…. Firstly, place your left hand (for a right handed golfer) near the top of the club. Let the club run diagonally across the fingers from the middle of your index finger, through to just above the little finger – as demonstrated above. N.B. Be careful not to let the club run into the palm!! Then wrap the hand round the club, and we should see 2 knuckles showing – as pictured right. With the right hand, place this in the fingers, again at a slight diagonal and wrap the hand around the club. We should see the “V” formed by the right index finger and thumb point to the right ear. Stance should be shoulder with. If down the range, face the mirror and check how wide your stance is.This will help to give a good leg action in the swing and maintain balance. For an iron, place the ball just on the left side of your sternum – as shown below. For a driver, place the ball in line with your left pec. Again when down the range, have a look in the mirror to make sure your ball position is perfect to stripe it! This is one of the most important parts of the set up for me as I see so many poor golf shots come from poor posture. So make sure you nail this one! Firstly, get the above three points good then, stand bolt upright with both your arms straight and the hands around waist high. The club should be parallel to the ground – as shown below. From here keep your back straight (very important) and bend from the hips till the club touches the floor. Imagine your belly button is pointing more towards the floor. Now put a touch of knee flex in. Be careful with this bit – the knees should be bent but the thighs should still feel “lively”. A checkpoint to get the correct amount of knee bend is to have the knees over the middle on your feet – as shown right. N.B. This isn’t an absolute checkpoint as it will depend on your height and leg length but will certainly most of you a good guide. I see many swing faults again develop from poor alignment and poor alignment often results in offline shots (and not always the direction you are aiming!) So firstly get the face of the club pointing where you want the ball to finish. Next you want to get your feet, knees, hips, and shoulders parallel left of this (as above). A good routine to get this good is when you do the posture routine (above) when you stand bolt upright, start with your feet together and point your feet at the ball. Now imagine a straight line across your toes and step your feet along this line. Hey presto! Your alignment is perfect! Now that is a lot of information to take in all at once but re-read this a few times until it sinks in. And next time you go to the range, just concentrate on a maximum two of these at a time (i.e. grip and stance). Each time you go to the range. Three practice sessions through the month and the basics should be feeling comfortable and natural and you’ll be enjoying your Summer Golf even more this year and who knows it may even improve your nerves on the first tee! TheSocialGolfer.com, celebrated its 2nd annual TSG Masters Championship (in association with GolfGear247.co.uk) at Warley Park Golf Club on 3rd May 2015…..
How they qualified for The TSG Masters? The members of the online social network had all qualified via a number of different means, some via the website’s monthly leaderboard, some via other TSG Major events with the remaining spaces snapped up via the ballot and/or by special invitation with no one wishing to miss out on the first TSG ‘Major’ of the year. This made for an exciting competition and while some TSGers were familiar with the course layout, most were totally alien to it. The field ranging from 11 handicappers to 27, played the Childerditch and the Warley ’10 to 18′ loop, two very different layouts offering their own challenges, the latter including the superb 18th Par 3 signature hole. The event was won by well known disabled golfer Richard Saunders, who has been a great advocate of the site since its ‘official’ launch in 2010. After 18 holes, Saunders (based in Essex) scored a fantastic 44 Pts off his 20 handicap with Judy Lilley 2nd (Kent – 39 Pts) and 3rd Tuan Nguyen (Kent – 35 Pts). There was also some fun to be had with 2 x Nearest Pins and a ‘Straightest Drive’ keeping the day alive for those that were not troubling the leaderboard and a Par 3 Competition to add to the drama on the day. Other winners on the day included popular ‘TSGers’, Lee Benson (Herts), Paul Thorne (Essex), Matt Sutton (Kent) with Richard Saunders adding the Par 3 trophy to his haul. It was a balmy spring evening at Colchester United Football Stadium, where the great and the good from Media and Marketing throughout Essex and the South East gathered for an evening of entertainment and networking…. AND despite stiff competition The Social Golfer competed with websites from across all genres and won the Gold Award accolade in the SPORT & ENTERTAINMENT category!! Now in their second year, the Essex Digital Awards(EDAs) look to reward innovation and progressive thinking by businesses across the county. Previous winners span several industries and range from individuals to national companies, but all have at the core of their entry a desire to use digital media as a means to achieve greater things for their business. The EDA’s are backed by a range of Essex-based companies including Volvo Colchester, Freelance SEO Essex, Essex Chambers of Commerce and Northcliffe Newspapers’, Essex Chronicle. What is The Social Golfer? Since its official launch in 2010, the community focused website (run by Essex based Marketing Consultant – Ian Mullins) has firmly established itself as one of the most used golfing websites in the south east and the UK. The fast growing online golfing community is a place where you can make new friends, join local golf games, run local golf societies and local golf groups, join in chat and forum discussions, track your scores, establish a Handicap (using both UK calculation and USGA calculation formats) and study your progress using our unique game analysis tools. You can also download your own official TSG Handicap Certificate (UK or USGA). The Social Golfer system allows you to track your golf handicap after every game and lets you compare your golf stats with your golfing friends/buddies/mates and compete in our monthly TSG league table. You can also upload your golfing photographs, share golf videos and catch up on BBC Golf News feeds for free and take advantage of our member green fee offers. In addition, TheSocialGolfer.com lets you locate, read, review and rate over 25,000 local and worldwide golf courses and gather golf club information free of charge; such as green fees, scorecard details, Google maps and contact numbers! The site currently has over 4,500 registered users in the UK and 8,500+ worldwide. The Social Golfer wins Gold Award….Why? The Social Golfer wins Gold Award….how? In March 2014, the site was short-listed to be an official England Golf partner. In the summer of 2014, the site launched its first ‘above the line’ marketing campaign on talkSPORT (London) and talkSPORT.com and Ian himself has written articles and featured in Essex Golfer Magazine and on local Essex Radio promoting golf a a sport and the website. The team also recently agreed a deal with Group M (The largest advertising agency network in the world owned by Sir Martin Sorrell) to supply advertising inventory to their clients which include Direct Line, RBS and Sony in 2015. Global Advertisers that have supported the site to date include Emirates, BA, AMEX, Nike, BMW. The Social Golfer wins Gold Award….What they said? “I love my golf and I can understand why TheSocialGolfer.com were a clear winner in this category. The judges must have been impressed by how the team had developed both an active and loyal community that would rival any ‘Bricks and Mortar’ golf club – and in the space of only five years. TSG seem to be showing the way for the future of golf and for online communities of any genre. Ian and his team have certainly got a handle on how the internet can grow a business like theirs.” – Awards compere and Veteran BBC TV & Radio, European Tour Weekly and Golfing World presenter Robin Bailey.